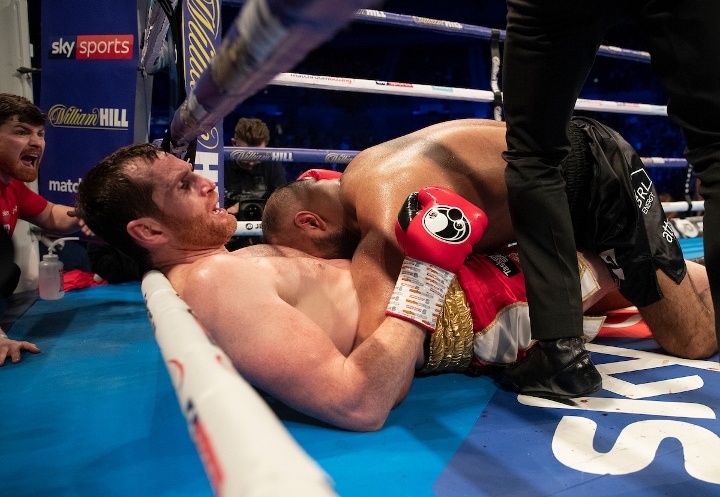 Kash Ali is trying to make amends after having his boxing licence suspended in connection to last weekend’s disqualification for biting David Price during their fight in Liverpool. The British Boxing Board of Control has ordered Ali to appear before a the organisation’s Central Area Council. The 27-year-old has also had his purse, estimated to be in the region of £20,000, withheld, minus expenses. In one of the few precedents in Britain, middleweight Adrian Dodson was banned for 18 months in 1999 after being found guilty of biting opponent Alain Bonnamie. Price accused Ali of biting him on multiple occasions during the contest, before referee Mark Lyson waved the contest off in the fifth round. During the fifth round, Ali appeared to be in trouble after getting clipped by a big shot – and then he tackled Price to the mat and bit him on the lower abdomen. The defeat was Ali’s first in 16 professional fights, while Price’s record improved to 24 wins and six defeats. “I would like to apologise for my unacceptable behaviour in my fight against David Price. I am sorry to all boxing fans, to my team, my family, the British Boxing Board, David Price, his team, and his family. I am hugely embarrassed for my actions and the way the whole fight unfolded,” Ali said in a statement to Sky Sports. “The occasion got the better of me and those who know me, including David, can testify that my behaviour on Saturday during the fight was not a true reflection of who I am.